Smarter, faster algorithm cuts number of steps to solve problems. 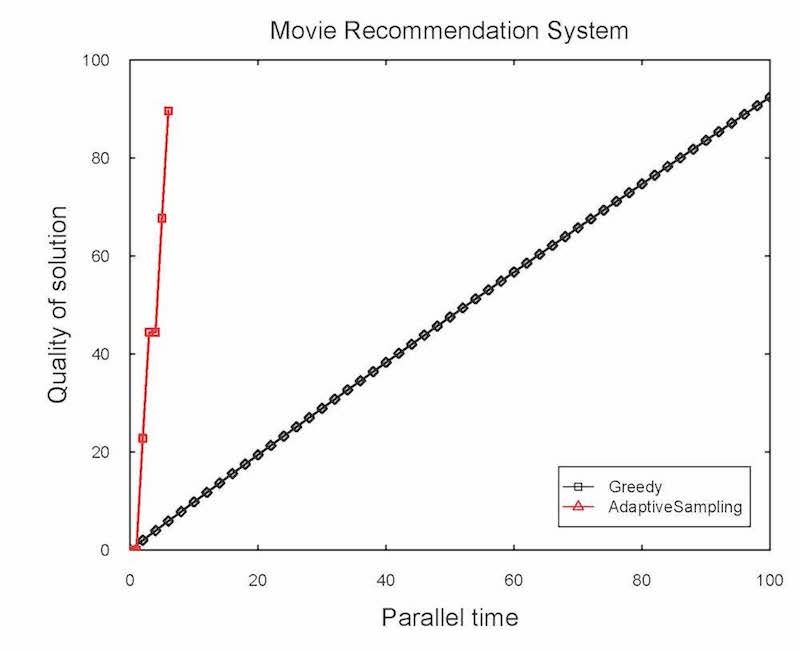 New algorithm uses adaptive sampling to exponentially speed up computation. No image credit. The theoretical research was presented at the ACM Symposium on Theory of Computing (STOC), June 25-29 and the experimental research will be presented at the International Conference on Machine Learning (ICML), July 10 -15. The black line shows the number of steps a traditional algorithm takes to solve a problem while the red line demonstrates the number of steps the new algorithm needs. No image credit. The researchers also tested the algorithm on a taxi dispatch problem, where there are a certain number of taxis and the goal is to pick the best locations to cover the maximum number of potential customers. Using a dataset of two million taxi trips from the New York City taxi and limousine commission, the adaptive-sampling algorithm found solutions 6 times faster. Metasurface could provide alternative to centuries-old technique. 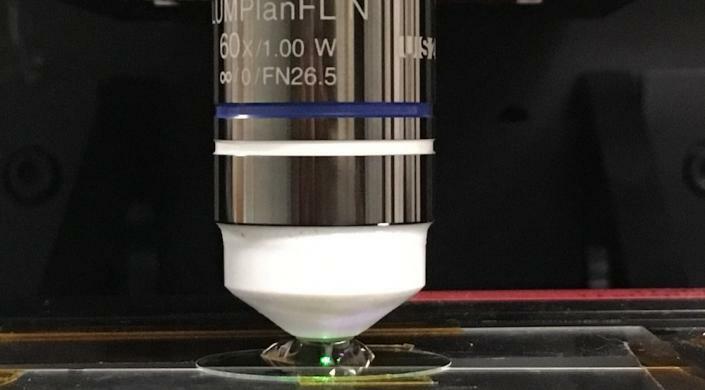 A team of researchers from the Harvard John A. Paulson School of Engineering and Applied Sciences (SEAS) has developed the first flat lens for immersion microscopy. This lens, which can be designed for any liquid, may provide a cost-effective and easy-to-manufacture alternative to the expensive, centuries-old technique of hand polishing lenses for immersion objectives. 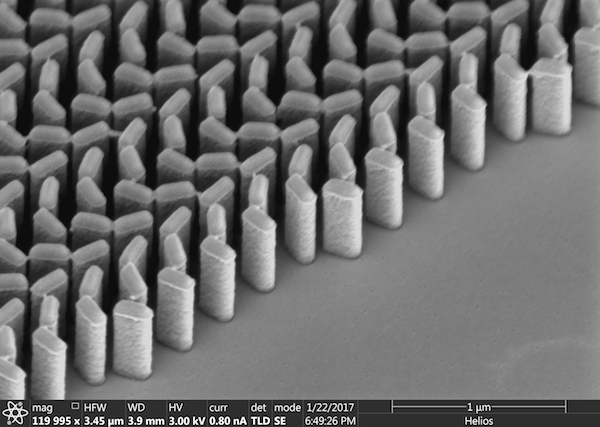 “This new lens has the potential to overcome the drawbacks and challenges of lens-polishing techniques that have been used for centuries,” said Federico Capasso, the Robert L. Wallace Professor of Applied Physics and Vinton Hayes Senior Research Fellow in Electrical Engineering at SEAS, and senior author of the paper. When light hits an object, it scatters. Optical microscopes work by collecting that scattered light through a series of lenses and reconstructing it into an image. However, the fine detailed geometrical information of an object is carried by the portion of scattered light propagating with angles too large to be collected. Immersing the object in a liquid reduces the angles and allows for the capturing of light that was previously impossible, improving the resolving power of the microscope. Based on this principle, immersion microscopes use a layer of liquid — usually water or oil — between the specimen slide and the objective lens. These liquids have higher refractive indices compared to free space so the spatial resolution is increased by a factor equal to the refractive index of the liquid used. Immersion microscopes, like all microscopes, are comprised of a series of cascading lenses. The first, known as the front lens, is the smallest and most important component. Only a few millimeters in size, these semicircular lenses look like perfectly preserved rain drops. Because of their distinctive shape, most front lenses of high-end microscopes produced today are hand polished. This process, not surprisingly, is expensive and time-consuming and produces lenses that only work within a few specific refractive indices of immersion liquids. So, if one specimen is under blood and another underwater, you would need to hand-craft two different lenses. To simplify and speed-up this process, SEAS researchers used nanotechnology to design a front planar lens that can be easily tailored and manufactured for different liquids with different refractive indices. The lens is made up of an array of titanium dioxide nanofins and fabricated using a single-step lithographic process. Using this process, the team designed metalenses that can not only be tailored for any immersion liquid but also for multiple layers of different refractive indices. This is especially important for imaging biological material, such as skin. “Our immersion meta-lens can take into account the refractive indices of epidermis and dermis to focus light on the tissue under human skin without any additional design or fabrication complexity,” said Alexander Zhu, coauthor of the paper and graduate student at SEAS. “We foresee that immersion metalenses will find many uses not only in biological imaging but will enable entirely new applications and eventually outperform conventional lenses in existing markets,” said Capasso. Two Harvard graduate students want to make curing blood cancer or HIV as easy as pressing a button. 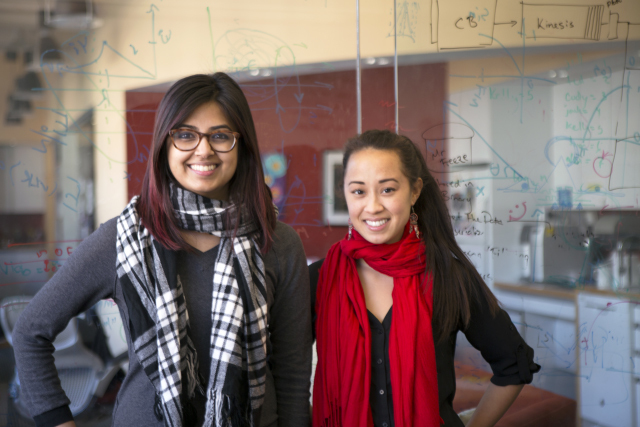 Ph.D. candidates Nabiha Saklayen and Marinna Madrid have launched a startup to develop a simple, push-button device clinicians could use for gene therapy treatments. Their enterprise, Cellino, hopes to commercialize technology being developed in the lab of Eric Mazur, Balkanski Professor of Physics and Applied Physics at the John A. Paulson School of Engineering and Applied Sciences. The early-stage laboratory spinoff, which the pair launched in November, claimed first prize in the International Society for Optics and Photonics (SPIE) Startup Challenge, a pitch-off contest between more than 40 startups from around the world. In addition to winning $10,000 cash and $5,000 in optics products, Saklayen and Madrid were lauded for the impressive business potential of their startup. Their technique uses laser-activated nanostructures to deliver gene therapies directly into cells. 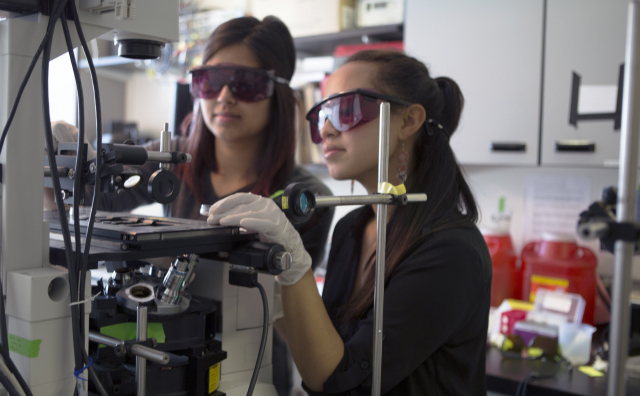 When a laser is shined onto the nanostructures, the intense hot spots can open transient pores in nearby cells, Saklayen explained. Developing effective intracellular delivery methods is a problem that has plagued biologists for decades, partly because the plasma membrane that surrounds a cell is selectively permeable and bars most molecules from entering. “Biologists have tried a number of different methods to do this, including viruses and chemical and physical processes, but none of them have been consistent enough and safe enough to be used reliably in treatments for blood disease,” said Madrid. The reliability of the nanostructure method developed at SEAS would give it a leg up over current practices. 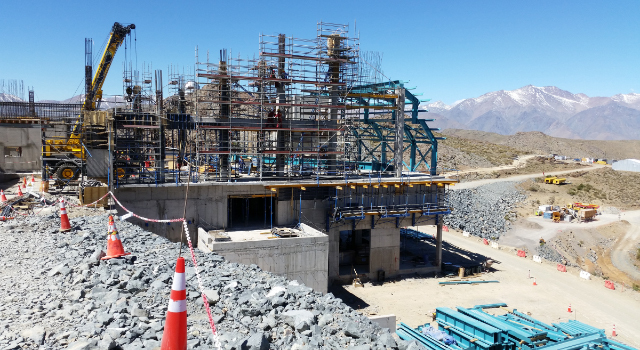 The biggest hurdle Madrid and Saklayen face now is translating the Mazur lab’s technology into a scalable, turnkey device. Their goal is to package the technology into a shoebox-sized device that contains everything a user needs—the laser, substrates, optical components, and computer interface. A user would put a patient’s cells and the nanofabricated chips into the device and use a touch screen to treat the cells, which could then be implanted into the patient. According to the Cellino team, those cells could be used to treat a number of different blood diseases, including HIV and blood cancers. By delivering gene-editing molecules into a patient’s hematopoietic stem cells, for instance, a clinician could repopulate a patient’s bone marrow with HIV-resistant cells. To treat cancers that affect the blood, the technology could be used to weaponize a patient’s T-cells, and then return them to the blood stream to attack the cancer. As they move forward with Cellino, Saklayen and Madrid are working closely with Harvard’s Office of Technology Development (OTD), which has filed patent applications to secure the lab’s intellectual property and develop a viable commercialization strategy for the technology. Alan Gordon, a Director of Business Development in OTD, has been advising the team on how to develop a business plan and launch the company. After graduating from the Ph.D. program this spring, Saklayen will pursue Cellino full time. Madrid plans to graduate early so she can soon focus solely on the company, too. The co-founders have applied to a number of startup incubators and plan to enter additional pitch competitions to gain more validation for both their technology and their business plan. Mazur is proud of his students’ accomplishments and excited for the potential of their startup. “This work is really transformative and opens the door to new therapies for currently incurable diseases,” he said. Thanks Richard for passing along this great article about an exciting technology! Researchers from the Harvard John A. Paulson School of Engineering and Applied Sciences (SEAS) have made a discovery that could lay the foundation for quantum superconducting devices. Their breakthrough solves one the main challenges to quantum computing: how to transmit spin information through superconducting materials. Every electronic device — from a supercomputer to a dishwasher — works by controlling the flow of charged electrons. But electrons can carry so much more information than just charge; electrons also spin, like a gyroscope on axis. Harnessing electron spin is really exciting for quantum information processing because not only can an electron spin up or down — one or zero — but it can also spin any direction between the two poles. Because it follows the rules of quantum mechanics, an electron can occupy all of those positions at once. Imagine the power of a computer that could calculate all of those positions simultaneously. 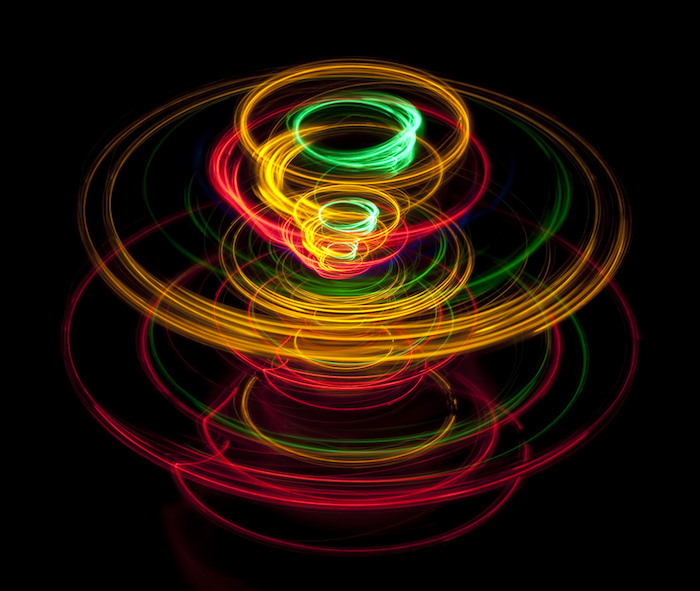 A whole field of applied physics, called spintronics, focuses on how to harness and measure electron spin and build spin equivalents of electronic gates and circuits. According to a fundamental property of superconductivity, superconductors can’t transmit spin. Any electron pairs that pass through a superconductor will have the combined spin of zero. In work published recently in Nature Physics, the Harvard researchers found a way to transmit spin information through superconducting materials. It’s easy to think of superconductors as particle super highways but a better analogy would be a super carpool lane as only paired electrons can move through a superconductor without resistance. These pairs are called Cooper Pairs and they interact in a very particular way. If the way they move in relation to each other (physicists call this momentum) is symmetric, then the pair’s spin has to be asymmetric — for example, one negative and one positive for a combined spin of zero. When they travel through a conventional superconductor, Cooper Pairs’ momentum has to be zero and their orbit perfectly symmetrical. But if you can change the momentum to asymmetric — leaning toward one direction — then the spin can be symmetric. To do that, you need the help of some exotic (aka weird) physics. Superconducting materials can imbue non-superconducting materials with their conductive powers simply by being in close proximity. Using this principle, the researchers built a superconducting sandwich, with superconductors on the outside and mercury telluride in the middle. The atoms in mercury telluride are so heavy and the electrons move so quickly, that the rules of relativity start to apply. So, when the Cooper Pairs hit this material, their spin begins to rotate. The team could measure the spin at various points as the electron waves moved through the material. By using an external magnet, the researchers could tune the total spin of the pairs. “This discovery opens up new possibilities for storing quantum information. Using the underlying physics behind this discovery provides also new possibilities for exploring the underlying nature of superconductivity in novel quantum materials,” said Yacoby. This research was coauthored by Sean Hart, Michael Kosowsky, Gilad Ben-Shach, Philipp Leubner, Christoph Brüne, Hartmut Buhmann, Laurens W. Molenkamp and Bertrand I. Halperin.